Stuffed chilli peppers | Life's Conundrum - Eat to Live or Live to Eat? We used to make this stuffing for a melted cheese sandwich in our sandwich maker and decided to experiment a bit with it. End result was a dish which took very little time to prep and was tasty and satisfying. We have a few more ideas for stuffed pepper dishes which once tried and tested will be shared with you. 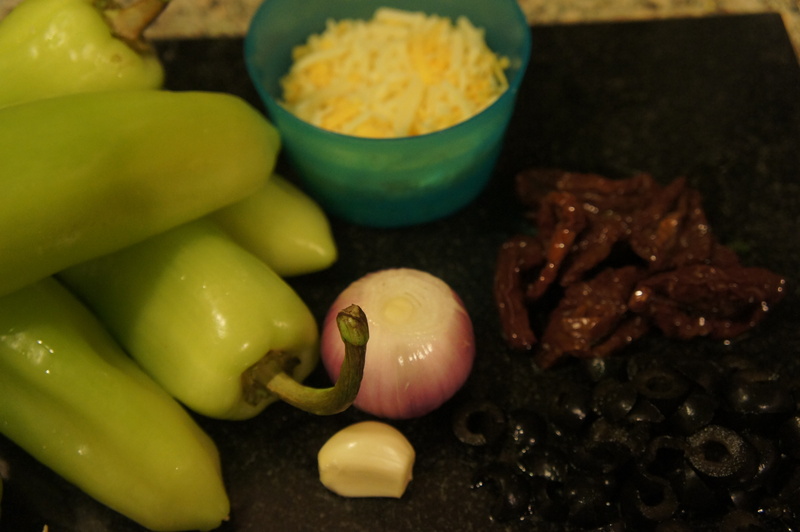 Mix all the ingredients in a bowl. 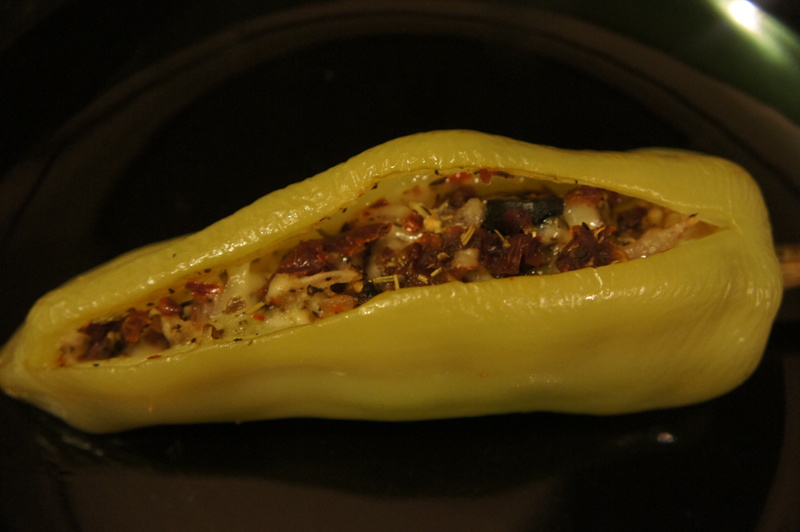 Make a slit along the length of the pepper. Place stuffing inside the cavity till full. 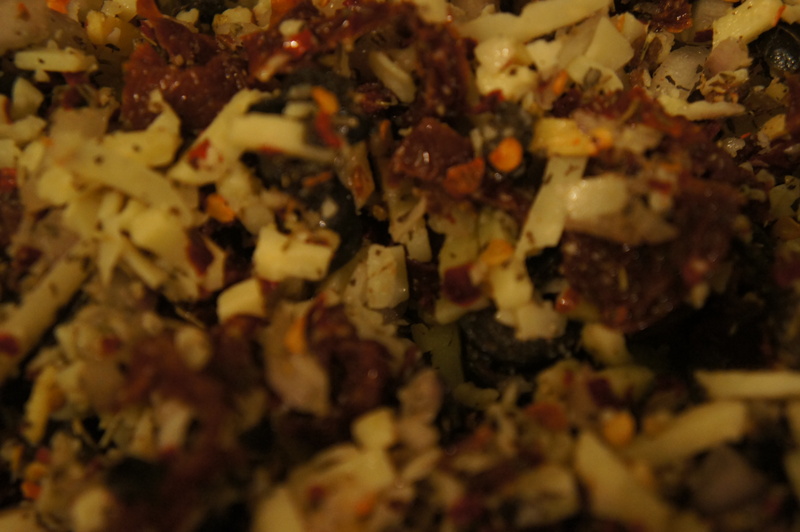 Bake in a pre heated oven for 40-45 minutes at 190 degree Centigrade till the peppers are cooked through. Serve hot. You could add or delete ingredients to mixture ie. add pepperoni or ham and make a nice melted cheese treat for the kids. Posted on January 6, 2014 by Anna and Shiv	• This entry was posted in Kids meals, Quick meals, Recipes. Bookmark the permalink.